Shelling killed at least 20 people Tuesday in a rebel-held neighborhood in the key Syrian city of Aleppo. Abu Jamal, an opposition activist in Aleppo, told CBS News via Skype that a government tank fired three shells which landed inside the bakery. Jamal said at least 20 people were killed, including women and children. "So far we have the names of 11 victims," Jamal told CBS News' Khaled Wassef. "The rest couldn't be identified as their bodies were disfigured beyond recognition." The opposition activists' accounts could not be verified due to restrictions on independent media imposed by the Syrian regime. 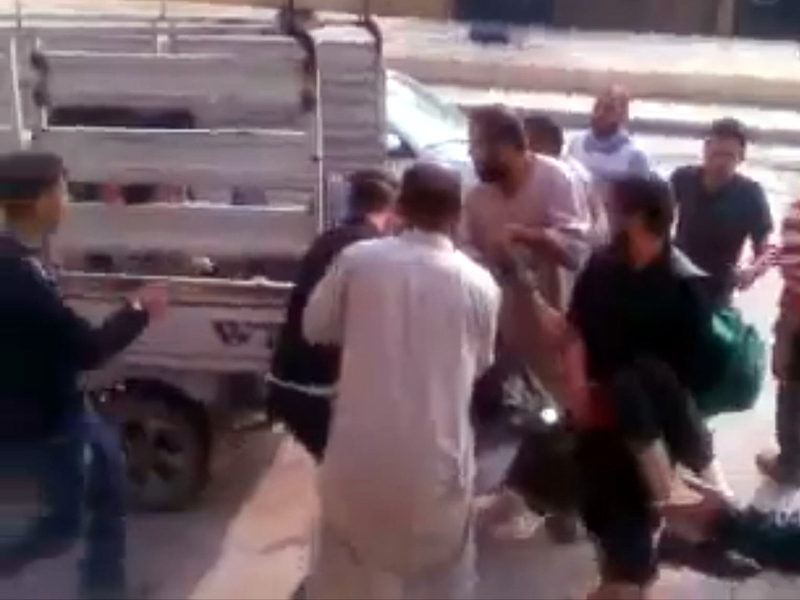 A YouTube video whose owner claims was recorded in Aleppo Tuesday shows graphic footage in the aftermath of an attack. The content of the video could not be independently confirmed. Meanwhile, in neighboring Turkey, an anti-aircraft shell from Syria hit an empty room of a health center, a private news agency reported Tuesday. No injuries were reported. The shell pierced through a window of the health center some 200 yards inside the Turkish border, in the town of Reyhanli and ricocheted five times before hitting a wall, the Dogan news agency reported. An investigation was launched into the incident, the agency said. Assad's forces have been battling rebels near the town of Haram, in Syria's Idlib province, across the border from Reyhanli.